Welcome to the most extensive online free resource for ultrasound training! In response to our customers looking for a quick way to get started without the costs of applications training, we’ve provided this library to help you learn and take advantage of the power of your ultrasound machine. It’s free, and available to everyone. Although online training can’t replace an on-site human applications trainer for you, this resource can save you thousands of dollars by providing you necessary knobology and applications training for a variety of ultrasound machines, DICOM connectivity, 4D ultrasound training, and unique ultrasound tips and techniques. If you are looking for general best practices check out our ultrasound imaging guide. When viewing our ultrasound training videos, it is best to view the training videos in sequential order, as most sections of the training build upon the previous ultrasound video. This section features training videos for the Biosound Esaote brand of ultrasound machines. Online free ultrasound training for the Biosound MyLab 30 portable ultrasound machines. Many portions also apply to the MyLab 25 portable ultrasound machines. This section features training videos for the Chison brand of ultrasound machines. Video Training series on the ECO3 black-and-white Doppler ultrasound machine. Free online training courses for the Chison SonoBook 9 advanced portable ultrasound machine. Free online training courses for the Chison Q5 portable ultrasound machine. 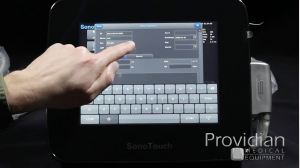 Online free ultrasound training for the Chison SonoTouch 30 tablet-style, point-of-care ultrasound machine. Free online training for the GE Venue 40 portable, tablet-style bedside ultrasound machine. Free online training for the Philips CX50 Portable Shared Service Ultrasound Machine. Free online training for the SonoScape A6 portable black-and-white ultrasound machine. Free online training for the SonoScape S2 portable color Doppler ultrasound machine. Online training for the SonoScape S8 mid-range, color Doppler, portable ultrasound machine.